The Chinese New Year is the most important holiday and biggest celebration in China. new moon that comes between 21 January and 20 February. In China, people usually have 7 consecutive days off from work from Chinese New Year’s Eve to the sixth day after Chinese New Year’s Day. Lunar New Year is also celebrated in Japanese, Vietnamese, Korean, Mongolian, and Tibetan cultures, as well as Chinatown’s world-wide. Chinese New Year will kick off the Year of the Dog at 10:30 AM on Saturday February 10th with the Southwest Airlines® procession which will include traditional Chinese drummers, dancers and Lion Dancing, will start off at St. Mary’s Square and go down Grant from California to Pacific and will end with a ribbon cutting, which will officially mark the opening of the 2018 Year Of The Dog Festival. Also kicking off today and running until the following evening is the Chinese New Year Flower Market Fair. A variety of delicious foods will be sold as well as well as flowers, plants and oranges and tangerines with leaves symbolizing that one’s relationship is secure. There will be traditional Chinese Opera performances as well as Lion dancing both days. For the 25th year, the annual Basketball Jamboree will start off the Year of Dog with six thrilling basketball games. The first game will begin at 10am with the last game at 3pm. There are 3 slots for each division (boys and girls), with approximately sixty participants. The players represent the greater Chinatown-North Beach community and San Francisco Middle Schools. 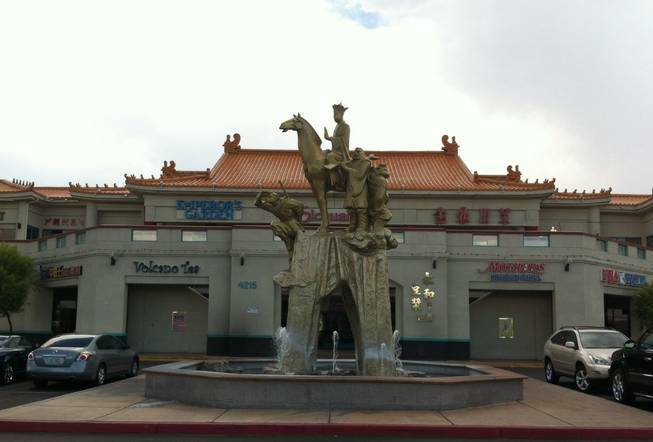 Location is at Betty Ann Ong Chinese Recreation Center. The 2018 Miss Chinatown USA Pageant will take place on Thursday, February 22nd at the War Memorial Herbst Theater located at 401 Van Ness Avenue, San Francisco 12 Contestants from all over the US including Miss Chinatown from Hawaii, Seattle, Houston will take part. 2018 is the 60th anniversary for this event. This year’s winners will become goodwill ambassadors for the Chinese community throughout the new lunar year. The newly selected Miss Chinatown U.S.A and her court will be crowned at the annual Miss Chinatown U.S.A. Coronation Ball. The black tie dinner/dance, attended by many community leaders promises to be a highlight of the Lunar New Year festivities. This year it will be held at the Thunder Valley Casino Resort on Friday with Dinner starting at 6PM and the Coronation Ceremony at 8PM and then followed by dancing. Named one of the Top Ten Parades in the World by International Festivals and Events Association. The Southwest Airlines Chinese New Year Parade in San Francisco is watched by more than three million every year. There are more than 100 groups participating and filling the roads with banners, flags, lanterns and drums including several floats. The biggest and most famous is the 200 foot Golden Dragon. It takes more than 100 volunteers to maneuver it through the lanes of San Francisco. Started in the 1860’s by the Chinese in San Francisco as a means to educate the community about their culture, the Parade and Festival have grown to be the largest celebration of Asian culture outside of Asia. Since 1958, the parade has been under the direction of the Chinese Chamber of Commerce. Parade highlights include elaborate floats, lion dancers, folk dancers, costumed elementary school groups, marching bands, stilt walkers, Chinese acrobats, and the 200+ foot long Golden Dragon. Market and Second Street to Kearny and Jackson. The event is free but Bleacher Tickets are $35 and can be purchased [HERE]. San Francisco’s exhilarating Chinatown is the place to be during one of the most exciting times of the year. There will 120+ booths and concession stands, making this a shopper’s dream. The SF Chinese Chamber of Commerce has planned activities and entertainment for all ages. Enjoy Chinese folk dancing, opera, drumming and much more at the entertainment stage on Washington St. below Grant. Make sure you get a family photo with the giant puppets and other memorable artifacts from the Parade. Please note: This is a non-smoking event. You may also call (415 ) 576-9622 to request a registration form and get race details. The cost includes a T-shirt and finish line goodies for all runners as well as prizes for top winners in each age group. The Tet Festival, the Vietnamese festivity of the New Year, happens at the U.N. square on Saturday that same weekend. Tet Nguyen Dan (also known as the Vietnamese Lunar New Year) is a traditional holiday celebrated annually by the Vietnamese to mark the beginning of both spring and the new lunar year. Held in the heart of Oakland Chinatown, this two day event rings in the new lunar new year – the Year of the Dog. The event features vendors selling traditional new year decorations, flowers, gifts, candies, and other items of interest. Event is free to the public and hours are 10AM to 5PM. Are you a rabbit or an ox? Perhaps you’re a dragon. (And if you are a dog, well, this is your year!) Learn more about your sign with Playland’s “Animals of the Lunar Zodiac” personality quiz. Kids can also decorate their own lion dance masks and we’ll have magician Fabulous. Cost: Guests under age 1 FREE while it is $10 for everyone else. Join OMCA for the 17th annual Lunar New Year celebration, a fortune-filled family-friendly event to welcome in the Year of the Dog. There will be: live performances spectacular lucky lion and dragon dances a magic show Japanese imperial court music and dance a colorful Philippine dance a martial arts demonstrations. The Year of the Dog starts off at Thien Hau Temple where attendees will experience traditional incense burning, make offerings to deities, watch traditional lion dancers, and witness 500,000 firecrackers in action. Over 100,000 people will gather in the streets of Los Angeles’ Chinatown to celebrate the Chinese New Year and enjoy the 119th annual Golden Dragon Parade. It is second only to the Rose Bowl in attendance. The parade commences at Hill and Ord Streets and concludes at Broadway and Cesar Chavez while showcasing floats, dancers, musicians, and city dignitaries, all dressed in festive, celebratory garb. The free outdoor festival runs throughout the day and includes live dancing and music entertainment, cultural artisan classes, vendors, and local food trucks. Metro: Gold Line to Chinatown Station, or walk a few more blocks from Union Station. There will be traditional Chinese zither and flute musicians, Spring Festival foods prepared by the chefs of acclaimed restaurants such as Hai Di Lao and Dongpo Restaurant, Chinese ribbon, fan and lantern dancing, as well as lion dances and more. Date: February 16, 2018: 6 p.m. – 9 p.m.
Over 5000 people will flock to Chinatown Vegas’s Chinatown Plaza to celebrate the New Year, The Year of the Dog. There will be Lion Dances, Japanese Taiko Drums, Dragon Parade, Japanese Dance, Chinese Martial Arts, Chinese Acrobat, Chinese Dance, Korean Dance, Dragon Dancers as well as Chinese Arts & Crafts, Calligrapher, Chinese Fortune teller and over 30 different retail vendors. Admission is $3.00 for adults, $1 for Children ages 6-12. Children 5 and under are free. Tuesday, February 20, 2018 | 6:00 P.M.-9:00 P.M.
More than 30,000 with attend the Chinatown Chicago Parade on February 25. Kick off is at at 1:00 PM at 24th Street and Wentworth Avenue and will head north to Wentworth to Cermak Road. The parade will feature marching bands, colorful floats, traditional lion dances and a special appearances. As this is the year of the dog, up to 28 dogs will be invited to participate in the parade). You may do so by completing the following 2018 Dog’s On Parade Entry Form. Over a 1/2 of a million firecrackers will go off to welcome the Year of the Dog and ward off evil spirits. There will also be lion dances giveaways, craft vendors and food booths selling traditional delicacies. It’s said that the more dumplings you eat at the celebration, the more money you will make in the new year. Grand St at Forsyth St.
On Saturday, February 17 the Museum of Chinese in America will hosts its annual event featuring zodiac-themed arts and crafts, dragon dancers, live dance performances and folk tales. The Queens Museum will host a day-long festival dedicated to the Year of the Dog. The museum has up with the New York City Chinese Cultural Center to offer various dance and martial arts demos, storytelling, crafting of LED-powered paper lanterns, and a calligraphy workshop. Bring your entire family to enjoy live performances, traditional crafts, and delicious foods and celebrate the 2018 Lunar New Year of the Dog. The 4th Annual Temple Bazaar is offered both Saturday and Sunday. Tickets are $5 for adults and $3 for children. Parade will start at the Flushing Queens Library at 9:30 AM. Start the day off with coffee and donuts at the Greater Flushing Chamber of Commerce from 9:30 to 10:30am, and then head over to Union Street and 37th Avenue where the parade will begin at 11am. Celebrate the Year of the Dog with New York Chinese Qipao Association. You can enjoy some traditional Chinese songs, dancing, and an amazing fashion show. Dyker singers will be presenting some sing-a-long Chinese songs with all of you! Hosted by Brooklyn Center for the Performing Arts, the oncoming arrival of spring will be celebrated with an all-new, family-friendly festival of Chinese music and dance commemorating the Year of the Dog, the faithful guardian and loyal friend to mankind. Enjoy the elegant splendor and rich culture of one of Brooklyn’s most vibrant communities with this performance by the prestigious Nai-Ni Chen Dance Company, featuring live music performed by the Chinese Music Ensemble of New York (紐約中國民族樂團) and a special performance by internationally-acclaimed acrobat and Guinness Book of World Records holder Lina Liu. The annual Lunar New Year celebration at the International House will feature a variety of exciting music, a Lion Dance and martial arts performances. There will also be traditional Chinese cuisine at the reception that follows the show. Celebrate the year of the Dog in Philadelphia’s Chinatown! The annual tradition of lion dance performances which will begin at the intersection of 10th and Race Street. Performed by the Philadelphia Suns, you can expect an exciting night of fun and entertainment. The Independence Seaport Museum hosts a Lunar New Year event for the whole family that acknowledges the traditions of Chinese, Korean, Vietnamese and Japanese cultures. In honor of 2018 being the Year of the Dog, the Philadelphia Animal Welfare Society (PAWS) joins in the fun this year by bringing some of their lovable (and adoptable!) dogs to the event. Reading Terminal Market and Philadelphia Chinatown Development Corporation team up for a festive, food-filled Chinese New Year event. A special Lion Dance and other celebratory performances around the market are sprinkled in between exclusive cooking demonstrations, one by Alice Ye of Five Spice Philly and another by Michael Chow of Sang Kee Peking Duck. The Year of the Dog is here so don’t forget to save the date for the 2018 Lunar New Year Celebration! Over the last few years, the Lunar New Year Celebration is one of the largest event of its kind in the region and showcases diversity, richness and culture of the Asian community. The collaboration with other neighborhood businesses/organizations has helped draw thousands of visitors from throughout the region for a day of festivities. The celebration include traditional dragon and lion dances, Japanese Taiko Drumming, martial arts and other cultural performances on the Main Stage. Combined with arts, crafts and a variety of family friendly activities there is something for everyone. The Chinese New Year Parade will return for the 45th time on Sunday, February 18, 2018. 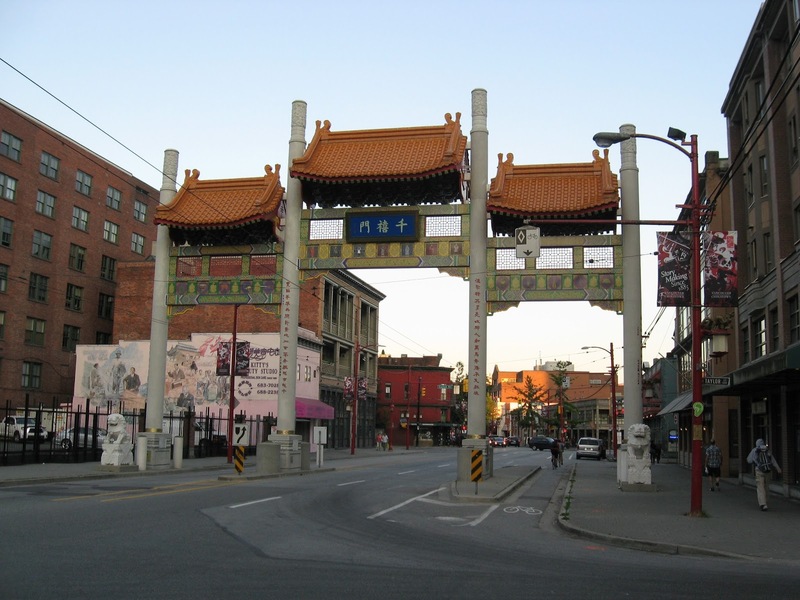 This signature event of Vancouver’s Chinatown will feature lion dances, cultural dance troupes, marching bands, martial arts performances and much more. For more info, please visit www.cbavancouver.ca. 11 am on Sunday, February 18th, 2018 and will take about two and a half hours to complete. Every year, hundreds of thousands of people descend on the West End to enjoy a colourful parade, free stage performances and traditional Chinese food, and to wish each other “Xin Nian Kuai Le” (Happy New Year in Mandarin) or “San Nin Faai Lok” (in Cantonese). The annual event which has gone into its 11th year will see more than 10 reputable top troupes from Singapore and Asia Pacific, all vying for the grand prize and the honour of being recognised as ‘the best of the best’ as they pit against one another with skillful stunts and intricate manoeuvres on the meihuazhuang. Live performances in the heart of Chinatown will kick start the Year of the Dog. Singers, skits and firework display. Hi. Very interesting content but it’s hard to find chinatownreport.com in search results.